Nobody would really want to look older than our actual age, right? However, a lot of us make some common mistakes that end up with us looking older without actually realizing it. Some of these mistakes may seem not harmful at all, but have adverse impact on our skin health. If you want to look amazingly youthful and fresh, avoid these 10 most common skincare mistakes that makes you look older. Perhaps you may think that it is just safe to go to bed without removing your makeup. However, if this practice becomes a habit, your skin can get clogged and congested, thus leading to a dull and dry complexion. The older we become, the drier our skin turns out to be. Makeup does not help as well, especially when they are left on your skin for hours. If you find it challenging to spend a couple of minutes to remove your makeup, you can make good use of facial cleansing wipes right beside your bed so that you can easily swipe the makeup quickly before sleeping. You will notice the difference the morning after. Your face will feel lighter and fresher, rather than the heavy feeling the day after wearing makeup the whole night. Before going out, we usually have the tendency to check the skies and see whether or not we should wear sunscreen. If we see that the skies are gray, we often skip on SPF. However, this is actually no excuse for doing so. UVA rays have the power to penetrate even the thickest clouds, and have the greatest adverse impact on our skin. Therefore, it is very important to protect our skin regardless of the season, and whether we are indoors or outdoors. Make sure that you use a broad spectrum SPF product every day, reapplying every two hours, especially when under the sun. Aside from your skin, make sure that you also protect your lips with a lip balm with SPF as well. We give attention to our face too much that we oftentimes end up neglecting our neck. This part, too, is always exposed to the sun as much as our face is. 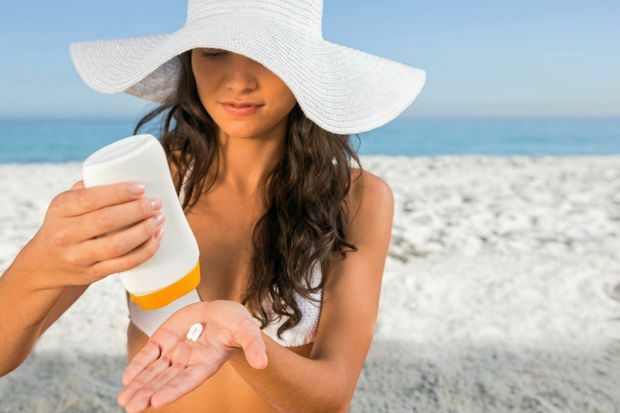 This means that if we fail to give it a dose of SPF every day, it can also get wrinkles. We sure would not want to have uneven appearance between our face and neck, do we? As a general rule of thumb, whatever skincare routine you do on your face, make sure that you also do to your neck as well. Of course, you may not want to apply actual makeup on it, but things like moisturizers and sunscreen should be applied to the neck area as well. Makeup is heavy on the skin. By giving your skin a break, you are allowing the skin cells to breathe freely. Rather than wearing makeup every day, detox your skin at least once or twice each week by leaving it makeup-free. Even though makeup can really make you look great, they get into the pores, making them bigger. Through time, they only cause sagging. A day free from makeup will let your skin rejuvenate and breathe. This will, in turn, shrink your pores. While at it, you can give your skin a mini-facial, using a deep cleansing and exfoliating product. After this, apply moisturizer, allowing your skin to absorb the nutrients. Your skin will thank you for this. Dehydration can result to some serious impact on your skin health. Alcohol and caffeine may be considered as a regular part of your life, but too much of them may result to dehydration. In turn, this can result to serious implications on your skin health, as well as the way your skin looks like. Make sure that you have a healthy liver, because it works by flushing toxins out, thus helping you have that healthy and youthful skin. Too much of caffeine or alcohol may only lead to a build-up in your liver, thus leading to acne, sagginess, outbreaks, rosacea, as well as wrinkles. If you cannot live without coffee or alcohol, make sure that you drink one glass of water for every cup consumed. Most often, popping pimples and squeezing spots appear too tempting. Even though you consider yourself a master at popping, keep in mind that it is very important to leave your skin as it is. 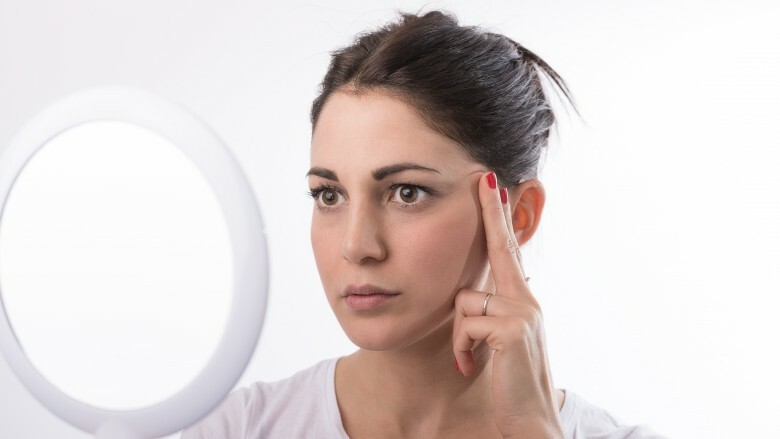 If you just force pimples to pop, you might be facing the tendency to scar your skin permanently. This can also cause discoloration and spots on your skin. You can work on preventing premature skin aging by leaving the proding and poking to a professional dermatologist or skin expert. Unless you are one yourself, it is best to avoid attempting doing so on your own and suffer the consequences. Tugging or pulling can happen if you treat it too aggressively. This can create adverse and sometimes, permanent consequences. When it comes to your skin, make sure that you treat it as gently as possible. Too much tugging, rubbing or pulling may challenge your skin’s elasticity, thus leading to the appearance of fine lines and sagging. When removing your makeup, use cotton balls, massaging gingerly in order to avoid being too harsh on your fragile skin. There are also ways on how you can apply cream on your face, using the right hand motion, and just the right pressure to be applied. Applying the right type of skincare product according to the type of your skin is very important. Wrong products may only end up exacerbating, or causing some new problems. If your skin is oily, and you choose a product which is not purifying enough, you may only end up increasing the level of oiliness, thus resulting to skin impurities and breakouts. On the other hand, if you have dehydrated or dry skin, and you choose products meant for oily skin, you will only dehydrate your own skin further. These may result to premature skin aging. Therefore, it is very important to give attention to the products that you are using, only choosing those that are designed for your skin type. As you wash your face, it is highly recommended to use lukewarm water. Just enough, not too hot, not too cold. Make sure that you avoid going extremes. Water that is too hot may dilate your capillaries. On the other hand, water that is too cold may constrict them. Both of these can lead to damaged capillaries, which in turn, ends up with spider veins. How do you tell if the water is not too hot or not too cold? Test the water out, so to say. It should be comfortable enough for you. If you feel any discomfort, or if you see actual steam coming out of it, then it might just be too much for you. The process of exfoliation is one of the most important things that need to be included in our regular skincare routine. This involves removing dead skin cells which only tends to serve as barriers on the surface of the skin, preventing absorption of whatever skincare products we are using. By removing these built-up dead skin cells, your skin can now properly absorb moisturizer, thus keeping dehydration and fine lines at bay. Make sure that you choose a mild exfoliant, because overdoing it can also result to skin damage. All of these are very important in preventing the appearance of premature skin aging. Taking care of our skin can be described as a painstaking task that should be given constant attention. It’s not just about grabbing the latest products on skincare and applying them on our skin. Regardless of your age, it is very important to note the abovementioned slip-ups which you might have also fallen victim to in the past and avoid them right away. Do you have other tips to share? Feel free to leave your comments in the section below. Share this article if you liked it too!